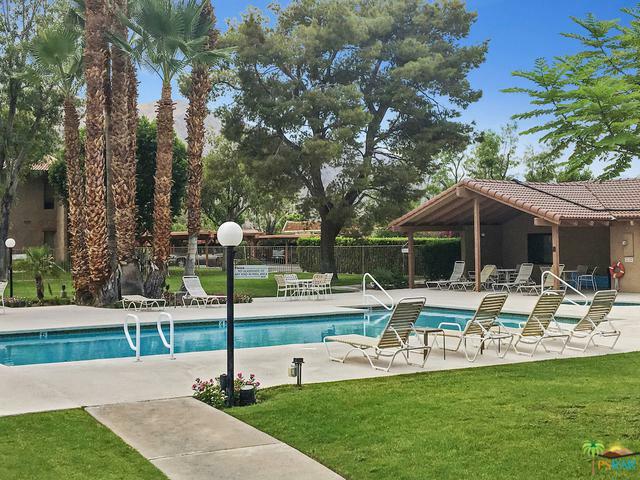 The lowest priced 2 bedroom condo in Palm Springs! Pinch yourself! You are not dreaming! 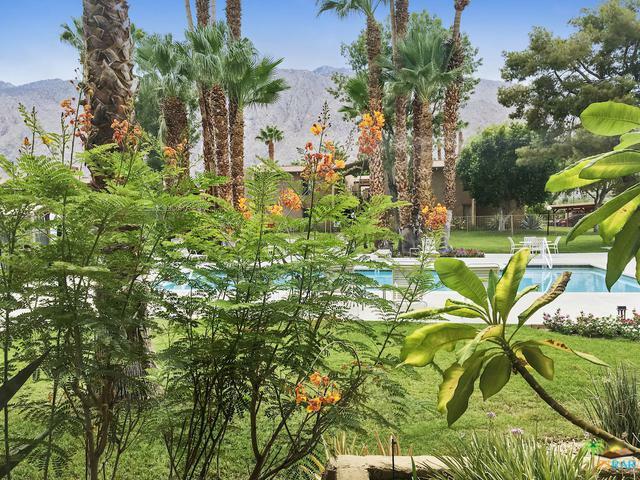 Beautiful Front Unit Condo Oasis in Palm Springs.Ramon Estados is a quiet community located just a few blocks from downtown Palm Springs + Warm Sands. This completely updated gorgeous two bedroom, two bath condominium features an open floor plan, walk-in closets, great views of the hills and a private outdoor patio. 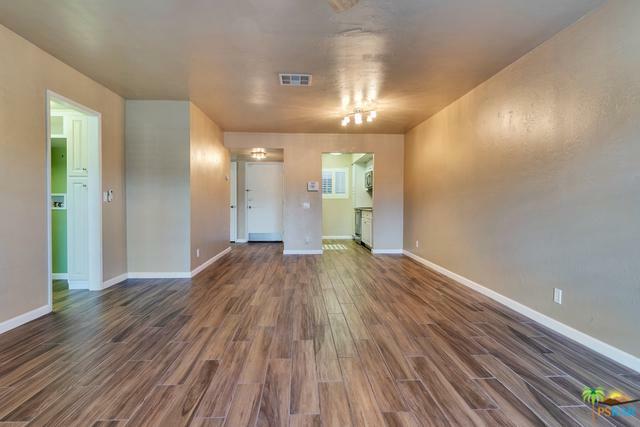 Wood-like tile floor throughout. Inside washer/dryer hook-ups. 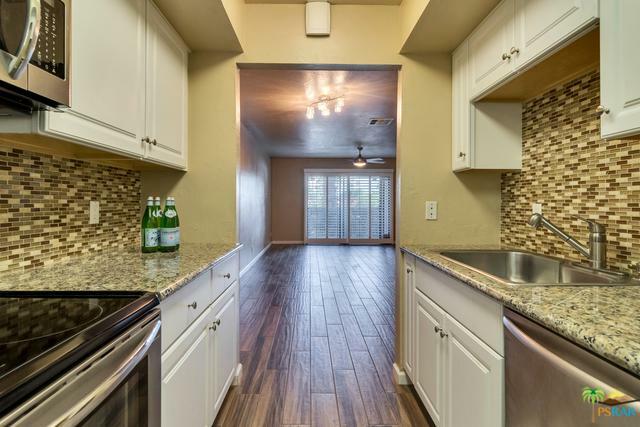 Updated kitchen and bathrooms with glass backsplash, newer cabinets, granite countertops and stainless steel appliances. Ramon Estados offers two heated pools and spas, a spacious clubhouse, a well-appointed fitness center and lighted tennis courts. Sit on the patio and look at the beautiful views of the surrounding mountains while enjoying the beautiful weather the desert has to offer. This condo makes for a great weekend getaway. Welcome home to Palm Springs, and be on vacation everyday. Listing provided courtesy of Monique Carrabba of Compass.